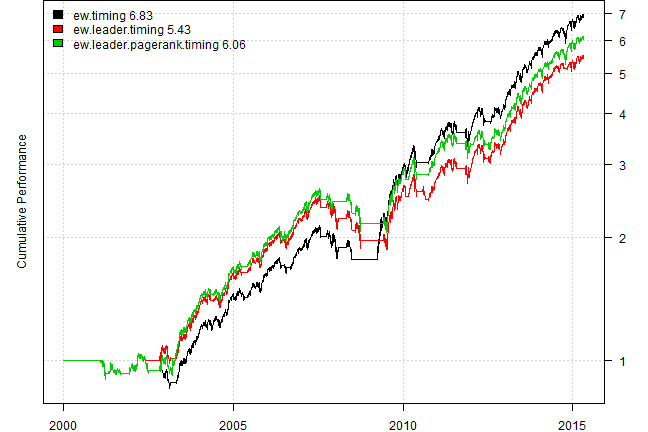 Following is code and plots used in RFinance 2015 presentation. 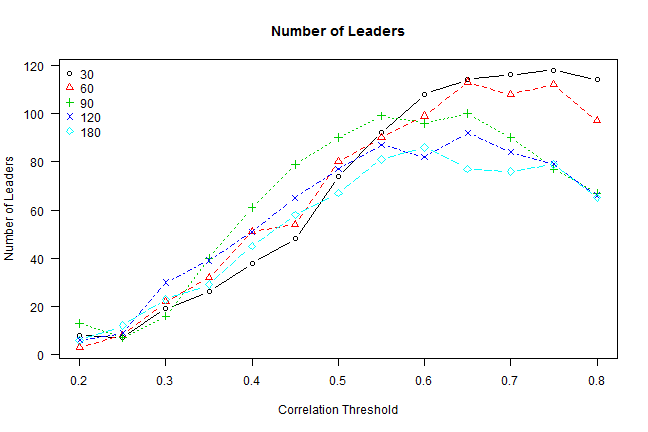 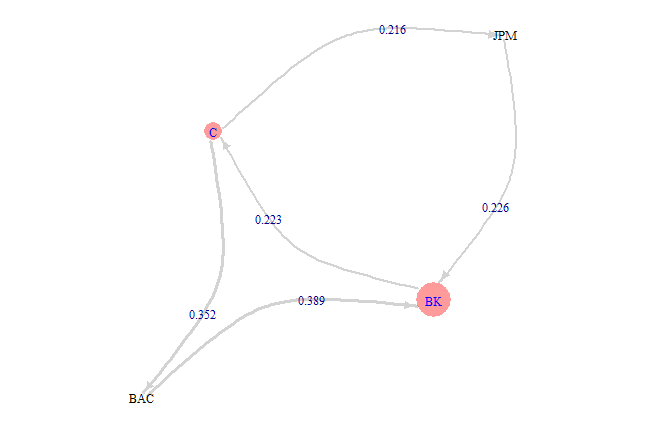 We will use a C++ function to compute Lagged Correlations from the Run Leadership Rcpp post. 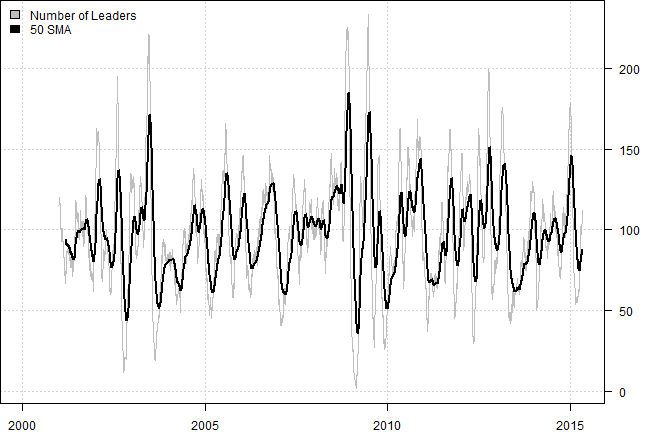 First, let’s load historical prices for S&P 500. 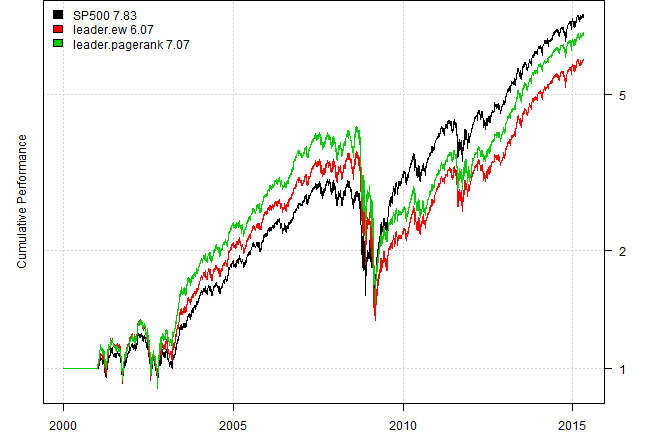 Please note that we are using current companies in the S&P 500 index and assume the index composition does not change. 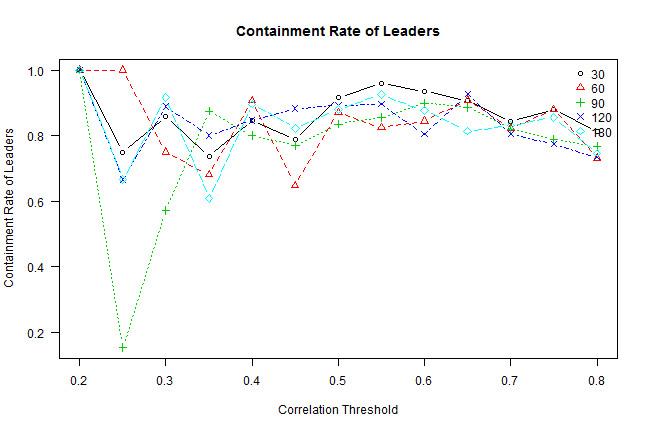 To run the code below please make sue you have the lead.lag.correlation.cpp file downloaded lead.lag.correlation.cpp. 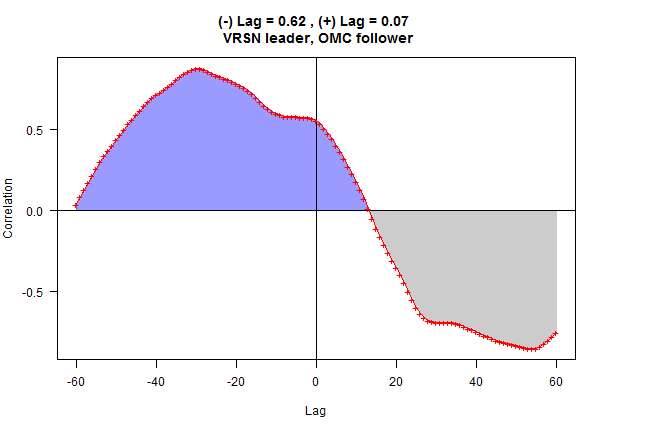 # find high correlation pair i = "VRSN", j = "OMC"
Next let’s see how stable the leaders selected from one period to the next one. 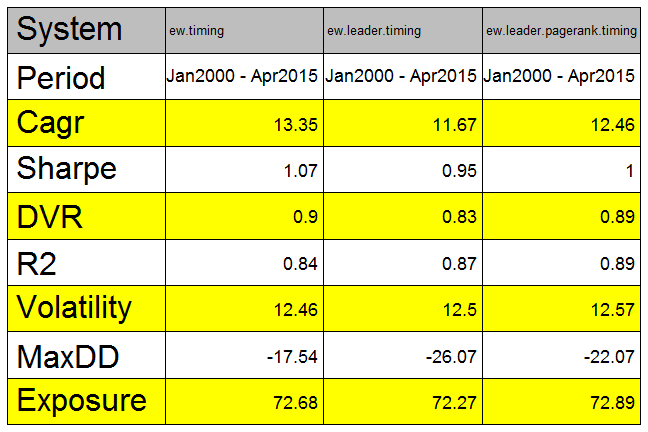 Next use Leadership index to time allocation to S&P 500, if leadrship index is above 100 period average allocate to the S&P 500; otherwise stay in cash. 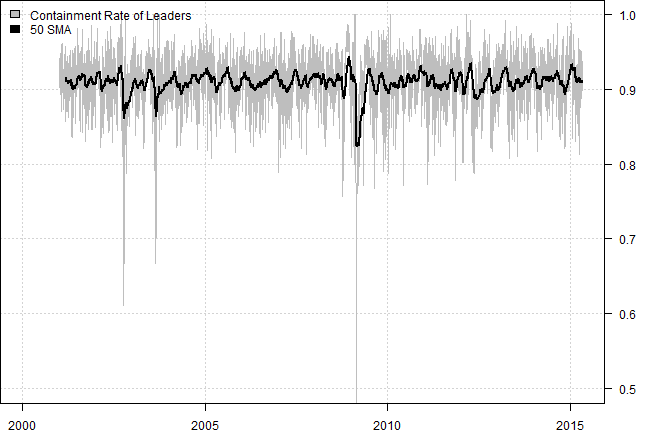 Unfortunately, we do not observe any predictive power of using leadership index versus just using S&P 500 index. 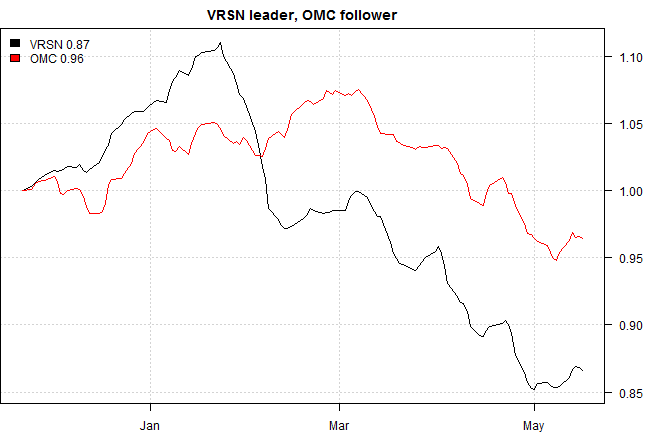 Thank you and looking forward to meeting you at RFinance.